I have had the Big Green Egg since about 2010 and it’s a great smoker to use any time but especially in the winter months due to it’s ability to hold awesome heat even when it’s cold. It can cook low and slow or hot and fast so it’s super versatile and did I mention it’s a chicken cooking machine! BGE does not pay me to say that although, (if company officials are reading this) I’ll happily discuss affiliate commissions. 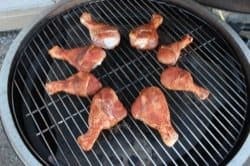 I did these hot smoked chicken legs on the BGE coated with my original rub (purchase recipes here) and original barbecue sauce (purchase recipes here) and they turned out about as perfect as can be. 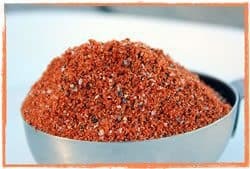 Own My Original Rub Recipe + Ad-free Email Recipes! 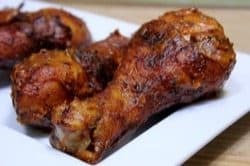 Chicken legs are delicious all alone but when you add my original rub to the outside and get a little of that deliciousness up under the skin, it becomes pure awesomeness! 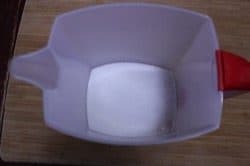 Place a ½ cup of Morton’s kosher salt into a large pitcher. 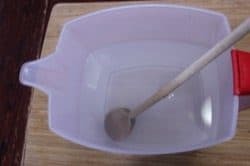 Stir for about a minute or until the salt is complete dissolved. 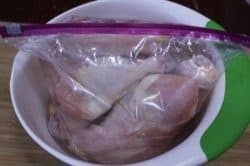 Place the chicken into a large ziptop bag. Pour the brine mixture over the chicken legs to cover. I recommend sitting the bag of chicken down into a bowl in case of leakage. Place into the fridge for 4 hours. You can leave the chicken overnight but know that brining does modify the texture of the meat somewhat and, in my opinion, it is best to not overdo it. When the chicken is done brining, rinse each piece under cold water and pat dry. One of the best ways to ensure that chicken skin turns out great is to make sure it is allowed to air dry in the fridge before cooking. 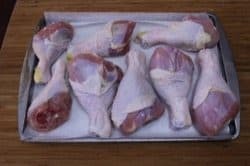 Place the legs on a sheet pan with a paper towel to absorb the moisture and put them back into the fridge for a couple of hours or longer. After drying it is time to add the good stuff to the outside of the chicken.. apply my original rub (purchase recipes here) all over the chicken and try to peel down the skin and get it on the meat wherever possible. Pull the skin back up so it protects the meat. The chicken is now ready to smoke! This recipe is specifically made for a ceramic cooker such as the Big Green Egg but it will also work well on a pellet smoker or any smoker that can cook at 275°F or higher. Many smokers struggle to reach these high temperatures and that’s ok since drying the skin will help a lot. You can also opt to just cook these on the grill with some foil packs of wood chips to provide some smoke. I do recommend you leave the water pan dry to help create a dryer environment in the smoker. This alone will improve the chicken skin. The heat should still be indirect which means you’ll use the plate setter in the ceramic cooker.. most smokers are indirect heat by default. Once the smoker/cooker is ready, place the chicken directly on the grate. These will only take about an hour so keep a close eye on them. The done temperature for chicken is normally 165°F but since these are chicken legs and have a lot more fat internally, we not only want that fat to render and the skin to crisp up real good, I have been getting great results from cooking these to 175-180°F. I hope you have a Thermapen.. it’s my instant-read thermometer of choice and it can read in about 2-3 seconds. This ensures that every piece of chicken is cooked perfectly and safely. If you don’t have one, you can check them out at http://www.smoking-meat.com/thermapen. I love sauce on chicken to add another layer of flavor. If you also like sauce or want to try it, you can add it about 10-15 minutes before the chicken is finished cooking. Just brush it on and after about 8-10 minutes flip it over and add another layer of sauce to the other side. Let it caramelize in the heat. 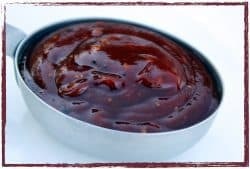 I used a mustard sauce that I made from mixing equal parts yellow mustard with my original barbecue sauce (purchase recipes here) but you can also just use the original barbecue sauce by itself. Delicious stuff! Check the temperature of the chicken and when it reaches about 175-180°F, remove it from the smoker/cooker grate and serve immediately. 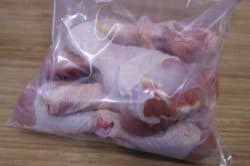 I often have people ask me if they can brine overnight– a better option would be to brine for a few hours, rinse and pat dry then allow the chicken to air dry overnight in the fridge. The next morning you’d only need to add rub and it’s ready to be cooked. Of course, most of this is completely optional. 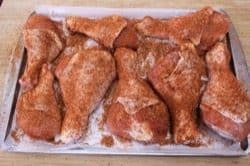 If you’re in a hurry, you can just purchase chicken, season it with my original rub (purchase recipes here) and toss it on a hot smoker grate and it will still be one of the best things you ever tasted. 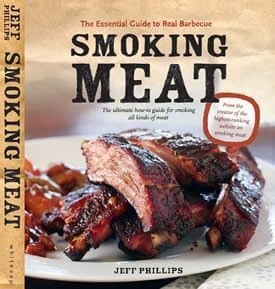 Another question I get is how to get the best smoke in a ceramic cooker such as the Big Green Egg. 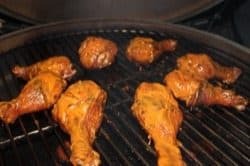 The answer varies depending on the length of time I’ll be cooking but for a short run like the smoked chicken legs, I use 2-3 small, completely dry wood chunks laid just off center so they get hot enough to smoke but not burn up quickly. That will provide plenty of smoke for the entire time they are in the smoker. For longer cooks, I mix wood chunks into the charcoal or I lay a larger split of wood off center, right on top of the charcoal. 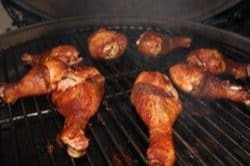 These hot smoked chicken legs do a better job of crisping the skin than you get cooking them low and slow in the smoker and they still end up pretty darn smoky. To make the brine for this chicken, combine ½ cup of kosher salt into ½ gallon of water and stir until the mixture is clear. Set this aside. Place the chicken legs into a large plastic zip top bag and pour the brine mixture over the chicken to cover. Place the bag of chicken into a mixing bowl and into the fridge for 4 hours. Once the chicken is finished brining, rinse each piece under cold water and pat dry with paper towels. Further dry the chicken skin by placing it on a paper towel lined sheet pan and into the fridge for a couple of hours. This helps the skin to end up a little more crisp. Season the outside of the chicken with Jeff’s original rub and it is ready to smoke. Setup the smoker or grill for cooking at about 275°F. Place the chicken on the grate and let it cook for about an hour or until it registers 180°F in the thickest part of the chicken. Note: chicken is safe to eat at 165°F however, chicken legs are often more tender if you cook them a little longer than what is required. Make mustard sauce by mixing equal parts yellow mustard with Jeff’s original barbecue sauce. Does putting the chicken in a salt brine like this up the saltiness of the final dish? I’ve heard mixed things, but I see a lot of people using a combo of sugar and salt, not sure if that makes a difference or not.